There are several Android devices and other gadgets in our home that use micro USB cables and charging them is always a hit-and-miss affair. It always takes at least two tries to get the tiny plug inserted correctly because, like Apple’s old 32-pin connector, there’s only one way to do it. That frustration ended when we got our hands on the Micflip cable from Winnergear. 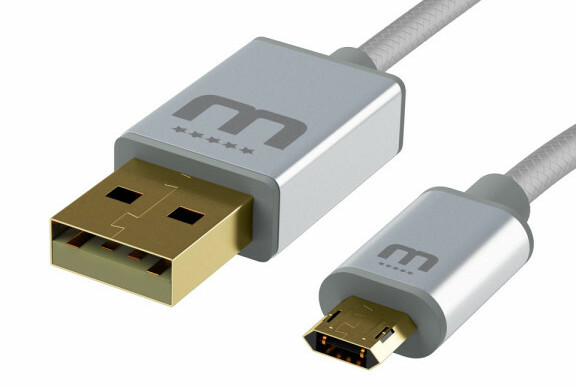 It’s the first Micro USB cable that has a reversible plug. It doesn’t matter which way you grip the end that attaches to your device, it will always slip in smoothly. While the reversible plug is it’s main attraction, the Micflip has other attributes. For instance, the plug tips a gold plated, making them more resistant to corrosion. And the cable itself is sheathed in braided fabric that not only looks classy, it also reduces snarls and tangles. Launched last year after a successful funding campaign on Indiegogo, the Micflip cable is now available for $19.99 on the Winnergear website. The cable comes in three lengths and three color combinations: silver, gold or red with black tips.